Take a look at this stunning four or five bedroom residence of very elegant proportions set in grounds of approximately one and three-quarter acres - on the market at £900,000. It is set on Rectory Lane in Addlethorpe, Skegness - an edge of village location with easy access to the fine sandy beaches of the East Coast and picturesque Lincolnshire Wolds. A stunning reception hall with galleried landing leads to three reception rooms and a large sun lounge, W.C, oak kitchen, breakfast room plus utility W.C. The master suite includes a dressing room and en suite bathroom plus two further bathrooms. The house has oil central heating, pvc double glazing plus 40 solar panels. 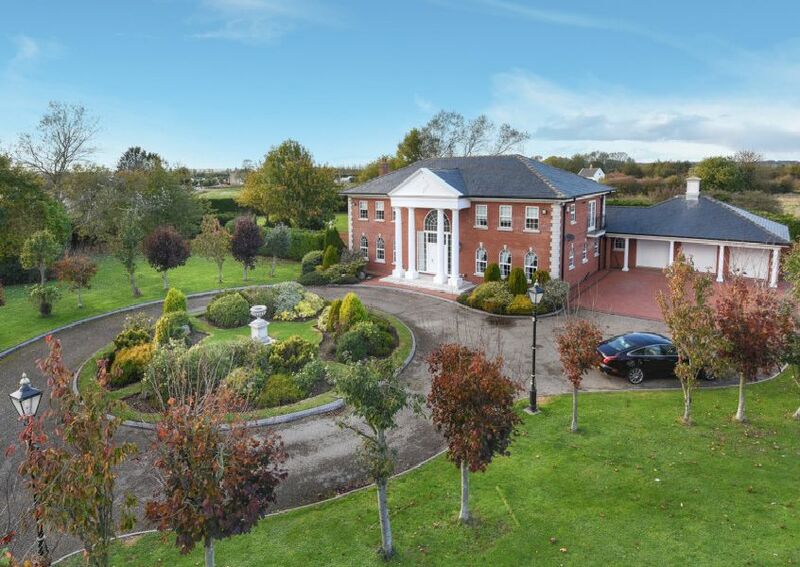 The grounds include a circular drive, ample parking, connecting triple garage, paved sun terrace and large ‘year round’ covered terrace. The property is on the market with Hunters Turner Evans Stevens, tel 01754 766061.